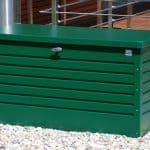 Thanks to the 5′ x 2’2 Lifetime 500 Litre Heavy Duty Storage Box there is no need to clear out a huge space in your garden for a big and bulky shed in order to give yourself some much needed storage space. The box offers you plenty of room which you can use to keep things like children’s outdoor toys tidy and safe or even as a place to keep a multitude of tools and gardening items so you always have them within reach. To make it easy to store items and so that the lid will never slam shut on your fingers, a spring assisted mechanism is in place. The storage box has a great design which will happily fit in your garden and look right at home. 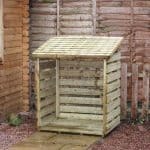 Incredibly the box offers you as much storage space as some smaller sized sheds do. Lifetime have made a very strong and reliable box here that is made from 20 mm thick double walled high density polyethylene that is used for the entire body as well as the lid and flooring of the box. This material is not only strong and long lasting, but it also does not require any kind of treatment or looking after on your part. L ifetime have made this great looking and very practical solution to the problem many people have of kids leaving all their garden toys outside and then complaining when the rain ruins them, or even the problem of keeping a few gardening tools safe from the rain and from cluttering up other parts of the garden. This is a fantastic storage box that offers an incredible amount of room for you to make good use of inside. The box has a depth of 2 feet and is 5 feet wide this is the same space that many compact sheds are offering at over twice the price! The storage box is also 2 feet 2 inches high meaning that you can really load this box up. We are sure parents are going to love how easy it is to just throw all the garden toys inside here just as much as people who enjoy to take care of their garden will like how convenient it is to have all their tools in one easy to reach space. The lid of this storage box is very high quality it is made from double walled high density polyethylene and is a very respectable 20 mm thick. From the first touch you know this lid is very solid. The materials used for the lid are just top of the line and we are sure that even though you will tell the kids not to sit on top of it that it will take their weight no problem at all. The body of the storage box is made from the same double walled high density polyethylene as the lid and also like the lid it is 20 mm thick. We have seen sheds of similar size have walls that are half this thick so we are very pleased with how thick this is. The overall design of the box is very cool and modern. We are sure this is something that you will not mind having out in the open in your garden at all. There is no actual frame inside of here as the whole box is made from 20 mm thick, high density polyethylene and it makes for one very strong and secure box so no frame is necessary at all. The flooring as we are sure you have guessed is made from 20 mm thick, high density polyethylene. This really does tie the whole box together nicely and makes certain the whole thing is just as solid as it could be. Let’s face it when you ask the kids to tidy away their toys they are not going to be placing them in here with care. They will be slam dunking them inside, most probably with a frown on their face as they have been asked to tidy up. Well this floor can take anything the kids can throw at it so you have no worries at all about the kids just throwing things inside. 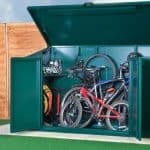 We are very impressed with this line of sheds and storage solutions from Lifetime in regards to how low maintenance they are. The 5′ x 2’2 Lifetime 500 Litre Heavy Duty Storage Box requires no effort from you when it comes to looking after it. As soon as you put it in your garden it is ready for work, no need to treat it or do anything else before you use it. Cleaning it is very easy just a sponge and a bucket of water will get the kids footprints off it from when they are standing on it even though you will repeatedly tell them not to. 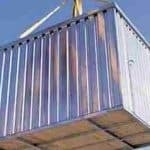 When you purchase the storage box, you will get a very respectable ten year guarantee that will protect you from general wear and tear. To be honest we do not see anyone needing to make use of this guarantee. As this is a storage box, clearly there is not a door, we did touch on the lid a bit before, but now we can tell you just how good this lid is. You will never worry about you or the kids getting fingers trapped in the box when you close it as it has a spring assisted lid to prevent it slamming down. This also makes opening the box very easy as it just takes a little pull and it will open up. No windows or any clear panels are on the box. This is a very solid storage box and it is going to keep what you have inside very well protected. The box does not come with a padlock, but the lid does have a section where you could easily add a padlock and this may be something you want to do if you are going to be going away on holiday or even just to keep it securely locked at night. Unless you have the lid open there is not going to be anyway that people can see inside of the box. There are no customisation options available with the 5′ x 2’2 Lifetime 500 Litre Heavy Duty Storage Box. To be fair it does have a nice enough design that we feel it is going to go with whatever you have in your garden. 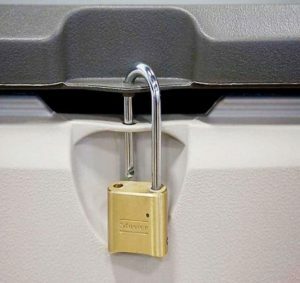 A padlock is the only thing that you may want to buy as an extra. Or if the kids do develop a habit of standing on here with their dirty feet, you may want to buy a few dozen packs of sponges to clean all the mud off. 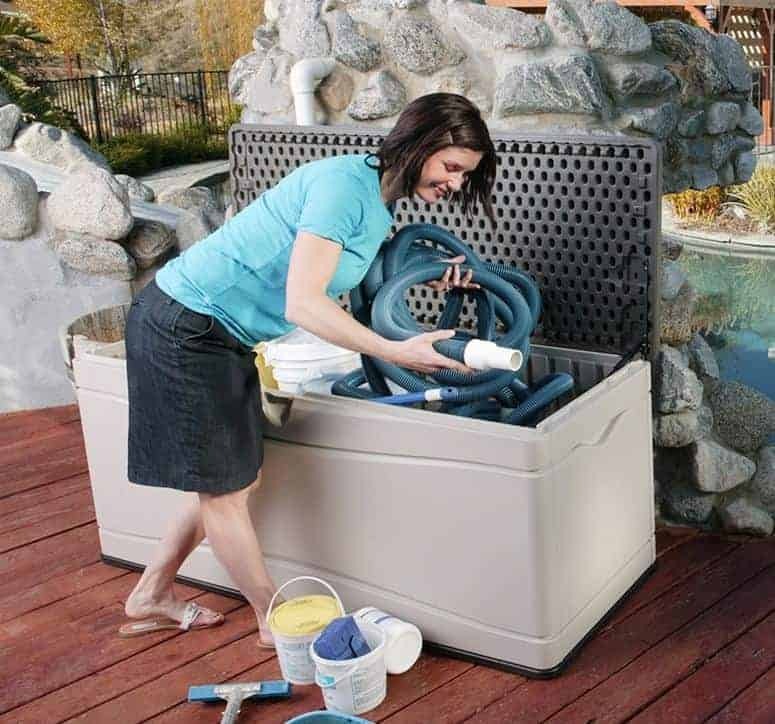 This is one very high quality storage box and something that as soon as you place it in your garden, you just know this is a top quality item. The high density polyethylene is very long lasting, but the design of the storage box is going to really maximise just how long this thing is going to last. If you just throw things inside here then it will fill up pretty quickly, but if you put things in carefully then you will be amazed at how many things you manage to get inside of here. There is very little to putting this together. Just really a case of finding a place in your garden and then putting it there. The storage space available and the materials used make this one of the best storage boxes out there when it comes to value for money. 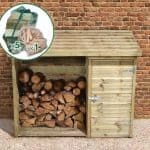 Final Thoughts: The 5' x 2'2 Lifetime 500 Litre Heavy Duty Storage Box shows you that you do not have to spend hundreds of pounds or even have a large sized garden to give yourself some extra storage space. We really like this storage box as it has a very modern design to it and it is just so practical. This is the kind of thing that you really love for the first year of its life and then 10 maybe 15 years from now, you will still be using it because it is just so useful. 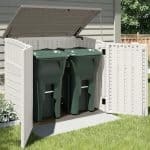 This is a great and low cost way to add a good amount of storage space to your garden.